Jewish legalism — dissident liberalism — or pagan superstition? What was the problem that shook God’s church at Colossae? While Paul was in prison, probably in Rome,1 heresy entered the church at Colossae, in Asia Minor. The news was brought to Paul by his close friend and co-worker, Epaphras (Colossians 1:8), who was a minister at Colossae (1:7; 4:12). Scholars disagree in the way they understand the problem at Colossae and in the way they interpret Paul’s admonitions. Did Paul intend to stop the advance of some philosophical sect? Was it to warn Judaizers who were arguing for circumcision? Was Paul informing the Colossians of their freedom from ordinances or from the ceremonial laws of Moses? Paul’s purpose — the main point of the letter — is disputed, and it will be analyzed below. The problem at Colossae is clouded by an assumption that pervades commentaries and other exegetical works: that Paul’s warning to the Colossians to beware of “hollow and deceptive philosophy” (2:8) indicates that a Greek or local philosophical sect was invading the Christian congregation to entice members away. Based on this assumption, scholars and laymen alike have looked for a solution that would involve an intrusion of Greek philosophy in a Christian setting concerning Old Testament practices (Colossians 2:16). This has led to endless debates and general frustration. What Greek philosophy would be concerned with Old Testament ceremonial laws? The search for a direct influence of Greek philosophical schools of thought on Colossae pervades the work of ancient and modern commentators. Clement of Alexandria (A.D. 150-215) proposed that it was the Epicureans who were involved at Colossae. A similar thought was expressed in the West by Tertullian (A.D. 160-220), and commentators have followed suit ever since. Neo-Platonic thought has also been proposed as the underlying problem at Colossae, as well as a mixture of Eastern and Western philosophy, all because of the superficial reading of the term philosophy. Finally, he looks back at his explanation and says, “Unless something of this kind be supposed, it will be found difficult to understand the apostle’s discourse: for he spoke of philosophical delusions and legal ceremonies at the same time” (Commentary, Whiting & Watson, New York, 1812, volume VI, referring to Colossians 2:8-9). Once wrong assumptions are removed, the epistle to the Colossians can be examined with a fresh outlook on the problem. It denied that the fullness of the Godhead dwelt bodily in Christ (2:9). It denied that the Christian was complete in Christ (verse 10). It tried to supplement the freedom in Christ by introducing ways of heightening Christian spirituality. ascetic restrictions (touch not, taste not, etc., culminating in a neglect of the body) (verses 19-23). The above points indicate neither that the heretics were denying the value of conversion to Christianity nor that they were endorsing a departure from the church of God at Colossae. They show that the heretics denied the adequacy of Christ (points 1 and 2). They were saying that Christians needed more for their salvation than what Jesus Christ had to offer. They felt they needed to re-appraise circumcision and certain ceremonial laws, along with some spiritual supplements, such as an attitude of humility and worship towards angels. To these they added a form of asceticism. Paul’s observation in 2:18-19 is that these teachers were “puffed up” in their minds and had “lost connection with the Head, from whom the whole body, supported and held together by its ligaments and sinews, grows as God causes it to grow.” This tells us that they were Christians rather than outsiders. They were holding to Christ to some degree, otherwise Paul would have said that they had rejected Christ. In such a case, he could have dismissed them as unbelievers. The heretical teaching about circumcision indicates that these teachers were of Jewish extraction. They were Jewish Christians and, most likely, from Colossae. Had they come from another area, Paul might have made a point of mentioning it, as he did in writing about false believers in Galatians 2:4. That the church at Colossae was primarily gentile is evident from the comment that its members once were “alienated” and “enemies” (1:21) in their uncircumcision (2:13), but now had been shown the riches of God’s glory “among the Gentiles” (1:27). Paul’s comments would be true even if Colossae included some converts from Judaism. At the time Paul was writing, Judaism was often referred to as a philosophy, even in Jewish writings. The Jewish philosopher Philo (10 B.C.-A.D. 50) wrote of “the philosophy of Moses” (De Mutatione Nominum 39). He also referred to Judaism as “the philosophy of our fathers” and as “Judaic philosophy” (Legatio ad Gaium 23 and 33). Similarly, Josephus wrote of the three Jewish sects as “three philosophies,” i.e., three schools of philosophy (Antiquities 18.1.2). Philo and Josephus, writing in Greek, wanted to lend an air of dignity to Judaism. The presence of the article in the original Greek (“through the philosophy”) indicates that the Colossian heretics used that term for their teaching, perhaps for credibility (as did Philo and Josephus), and that the Colossian members also knew it or referred to it by the same name. Paul was not denouncing philosophy in general, but the deceit that this particular philosophy entailed. Paul’s statement in Colossians 2:18 shows that the self-appointed teachers at Colossae taught a doctrine of “false humility and the worship of angels.” But neither the pagan Greeks nor the Phrygians had any concept of angels. This is a tenet of Judaism. The tenor of the false doctrine at Colossae was that the Colossians were not complete in Christ (verse 9) and needed to approach God through angelic beings. Since the angels are much inferior to the Supreme God, the Colossians would have to lower their sights, so to speak, by approaching angels first! Knowing how angel worship developed in the Gnostic schools of the second century A.D. (the schools of Cerinthus and of Valentinus), it is easy to see how the Colossian error fitted an earlier type of Gnostic doctrine. Paul’s teaching was that believers were members of the Body of Christ, who is the Head. Since Christ had triumphed over all “powers and authorities” (2:15), the members of Christ’s Body did not need anything beyond Christ. Prior to 1945, Gnosticism was known only from the counter-arguments of early Christians such as Irenaeus and Hippolytus. Although their writings contain Gnostic excerpts, their reliability was undetermined. In 1945, an Egyptian peasant came across a jar full of Gnostic books, known as the Nag Hammadi texts. These books not only have served to confirm the accounts of the early church Fathers, but have indicated that some Gnostic ideas can be traced back to New Testament times. An example of early Gnostic teaching is given in the Gospel of Thomas. The Gospel of Thomas is believed to have been compiled around A.D. 140. Professor Helmut Koester of Harvard University has suggested that “the Gospel of Thomas, although compiled c. 140, may include some traditions even older than the Gospels of the New Testament, `possibly as early as the second half of the first century’ (50-100) — as early as, or earlier than Mark, Matthew, Luke, and John” (Elaine Pagels, The Gnostic Gospels, Vintage Books, 1981, pages xv-xvi). 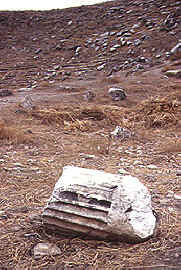 The discovery of the Dead Sea Scrolls in 1947 has also shed light on Gnosticism, because the Jewish sect of the Essenes cultivated some Gnostic ideas. In light of the above discoveries, Josephus’ excursus on Jewish sects becomes enlightening. Josephus’ description of the Essenes speaks of a dualistic approach in the life of the Qumran community. They believed that “coming forth from the most rarefied ether they are trapped in the prison-house of the body…but once freed from the bonds of the flesh, as if released after years of slavery, they rejoice and soar aloft” (The Jewish War, tr. G.A. Williamson, Penguin, 1959, page 374). The Essenes held to this doctrine so dearly that they vowed to impart it “to no man otherwise than as he himself received it” — after rigorous initiation. The books of the sect were preserved with similar care, “and in the same way the names of the angels” (page 373). The ascetic practices of the Essenes included abstinence from certain foods. The Essenes could touch neither oil, nor meat, nor wine. Sabbath-keeping was the strictest possible among the Essenes. They “abstain from seventh-day work more rigidly than any other Jews.” Their extremism on Sabbath-keeping comes out more clearly in another statement of Josephus, in which he notes that they “do not venture to remove any utensil or go and ease themselves” (page 373-74). The Essenes adhered to strict discipline. They avoided the pleasures of the body, they prohibited marriage, the possession of wealth or property, all secular talk, even the changing of shoes and clothes. In searching for the broader roots of Gnosticism, one finds isolated but relevant ideas in apocryphal works, both Jewish and early Christian. The Jewish-Christian work of the second century A.D., Testaments of the Twelve Patriarchs, lists seven orders of angels and uses the same terminology as was used by the Colossian heretics. The two highest ranks of angels are in the seventh heaven, and are known as “thrones” and “powers” (compare Paul’s reference in Colossians 2:15). Similarly, the Book of Enoch, the best source of information for the development of Judaism (written by Chassidic or Pharisaic Jews around 163-63 B.C. ), speaks of “angels of power and angels of principality” (Enoch 51:10). The picture of 24 seats surrounding God’s throne was not introduced first in Revelation 4:4. Even before Revelation was written, the Jews were almost unanimously (not the Sadducees) teaching that everything had its angel. In the Book of Enoch 82:10 ff., the stars have their angels; each of the four seasons has its angel; each of the 12 months of the year has its angel and each of the 360 days of the year (the full extent of the year at that time) had its angel. The Book of Jubilees claims that, on the first day of creation, God created various orders of angels: of the Presence, of the winds, of the clouds, of cold, of heat, of hail, of thunder, etc. By including earth and heaven, Paul was leaving nothing outside the mediating power of Christ. The vain deceit of the heretics was exposed. They were teaching the Colossians to give their allegiance to principalities and powers that, as Paul explained, were rendered defunct by Christ’s triumph (2:15). Paul’s advice was that they should not let anyone usurp Christ’s portion and take their prize from them (2:18). To think otherwise was to be deceived into a sense of false humility, into the lamentable state of worshipping created beings (angels) rather than the Creator himself. The heretics were dishonoring Christ by trying some other approach to God. Paul was explaining that, in the teaching of the heretics, Christ was losing the place he had in God’s plan of salvation. It is for this reason that Paul began to explain Christ’s office and function early in the book by pointing out that “God was pleased to have all his fullness dwell in him” (1:19), and that the fullness dwells “bodily” (2:9). The term fullness was a special one for the Gnostics. The Colossian Gnostics may have used it, and Paul decided to put it in context for them using superlative language. Christ has the preeminence. He is firstborn of the dead, the Head of the church, the fullness of God (1:15-20). “Touch not; taste not; handle not” (2:21) are not prohibitions of the Old Testament, neither are they an elaboration of any Old Testament command. As Paul pointed out, they were “based on human commands and teachings” (2:22). They have only a semblance of wisdom, but, in essence, they are a pretense that does not lead to any honorable end (2:23). The Essenes had strict prohibitions with respect to meat and wine — even oil. Such items were not to be touched, let alone tasted. Self-imposed asceticism provided a feeling of superior spirituality. It gave the impression that the successful ascetic had managed to rise above fleshly desires and was now in a separate category. Even circumcision can appear to the ascetic to be valuable, simply because it can be presented in dualistic terms. By mortifying the body of the flesh, the ascetic can claim to uphold the life of the spirit. Paul’s explanation dismisses the whole question. If Christians have buried the entire old self in the grave symbolized by the waters of baptism, why would they want to pretend that it could now help their spirituality? Paul’s warning concerning judging “what you eat or drink” (2:16) needs clarification. The original says nothing about food or drink; it speaks about the act of eating and the act of drinking. The terms brosis and posis refer to acts, not substances (compare 1 Corinthians 8:4 and 2 Corinthians 9:10 with 1 Corinthians 6:13, 8:8, 10:3 and Hebrews 9:10). As mentioned earlier, the Essenes abstained from eating meat or any meat product. Similarly, they would abstain from oil and reject any food that had been touched by defiled hands. Had they been in Elijah’s position, they would not have eaten food touched by a crow. They would not believe that God would command ravens to feed a prophet (1 Kings 17:4). As for drinking, there is no prohibition in the Old Testament that would affect anyone but a priest (Leviticus 10:9) and a Nazarite (Numbers 6:3). An ascetic teaching, however, such as that of the Essenes, could prohibit wine and milk. It could prescribe times and conditions for the use of other foods; it could also regulate the amounts so as to protect the members from the evils of luxury or excess. Paul’s answer to the ascetic content of the Colossian heresy is that such matters are “destined to perish with use” (Colossians 2:22). The sense of this verse is similar to that conveyed by Matthew 15:17 and 1 Corinthians 6:13. There is no moral value in prohibitions enjoined for purposes of asceticism. One can imagine how silly the Colossian heresy was in attempting to hold onto Jewish ceremonial rules, for example, once a Christian had lost sight of Christ’s direct mediation. As Paul points out with logical force, what is the point of subjecting oneself to decrees of any sort after the fullness of Christ has been set aside? Nothing can replace Christ. Without Christ at the center, absolutely nothing would stand, no matter how many commandments one would care to keep, and no matter how strictly one were to keep them. The reason for this claim is plain: Such acts do not involve the removal of sin. Only Christ, with his sacrifice, is able to nail every person’s spiritual debts to the cross (2:14), thus triumphing over all traditional and nontraditional principalities and powers. Whatever had power over man’s spiritual life — whether an order of angelic beings, or an ascetic principle — it was already superseded by Christ. He was now “the Head, from whom the whole body, supported and held together by its ligaments and sinews, grows as God causes it to grow” (2:19). The judging that was going on at Colossae was misguided (2:16). The matters listed, despite the claims of the Colossian heretics, could not transcend Christ who is now the body, the substance, the very center of God’s plan of salvation. All else is a mere shadow that holds no value as a replacement for Christ. After all, the Colossians were members of the very Body of Christ! The heretics were trying to push the church of Colossae out of the light and into shadows. Even though God’s law had a “shadow of the good things that are coming,” it could not “make perfect those who draw near to worship” (Hebrews 10:1). In summary, the Colossian heresy was caused by Jewish Christians who had fallen prey to early Gnostic teachings. Paul addressed this problem, not by reference to the Old Testament, but by centering the minds of the Colossians on the completeness and fullness in which they shared as members of the Body of Christ. 1 Some scholars pose the possibility of Ephesus as the place of Paul’s imprisonment; others cite Caesarea. A case can be made for each of these locations, though not with equal force. For the purposes of this article, these differences, which are peripheral to the nature of the Colossian heresy, will be laid aside. 2 The Old Testament is nowhere quoted in Colossians because it is not in question.